Day 2 of Event #70: $3,000 Limit Hold'em 6-Handed is in the books. The day started with 69 players returning to the field but they went flying to the rail fast and furiously and at the end of the day, only eight players survived. 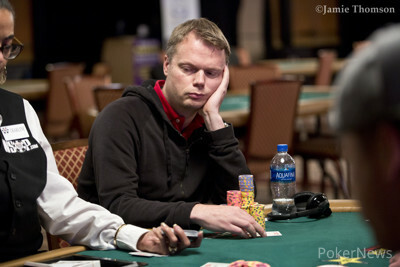 Juha Helppi and Yaser Al-Keliddar share the chip lead with an exact same stack of 927,000. They will both looking to win their first WSOP gold bracelet. Mike Schneifer (MN) rounds up the top three with a stack of 316,000. 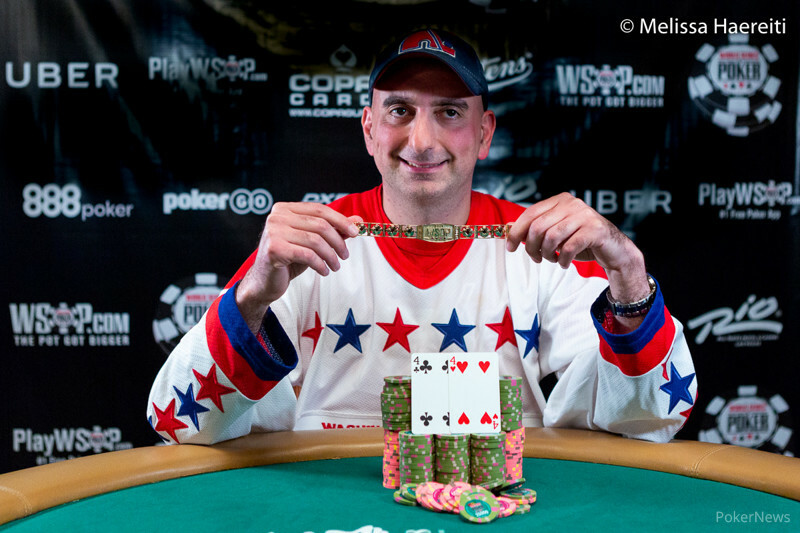 Although the event attracted many WSOP bracelet winners, Barry Greenstein is the only one of them who managed to find a bag for the final day of this event (271,000). Notables who came back but failed to make the money include bracelet winner Benjamin Dobson, as well as Koray Aldemir. The money bubble burst at the end of Level 14 and it was Alex Torry who was the unfortunate bubble boy when he ran his nines into Joshua Mitchell's ace-jack and couldn't hold. The remaining eight players are all guaranteed $14,871 but will battle it out to take home the first place of $154,338, along with the stunning WSOP gold bracelet. Play will resume at 2pm local time on Wednesday, July 11, at Level 21 and with blinds of 15,000/30,000. Stay tuned to PokerNews for all the upcoming action.